I had what I thought was a very large weed in my backyard, but it grew into a tree. If I can manage it, or if my son will help me, I'd like to coppice it. I want to keep it, but I don't want it to continue growing over the fence and hitting my neighbor's garage. Thank you for the information. I hate to see big, lovely trees cut down. Many coppiced trees have a strong, tall, sturdy trunk with gnarly looking amputated arms. It's from those arms that the leafy branches spring. In many cities, the sycamore tree is favored for coppicing. Here's the thing: you have to commit. 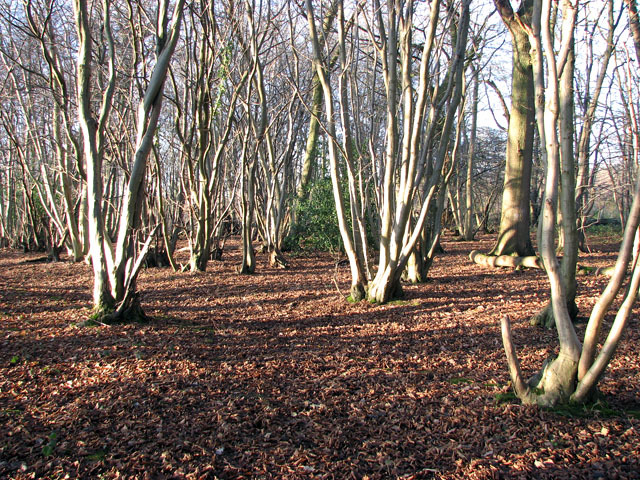 If you coppice a tree, you are changing its natural growth pattern. When you make it conform to your shape, you change the way it would naturally branch out. Therefore, if you begin coppicing, and then abandon the practice, you injure the tree. It sprouts a bunch of weak branches that compete with each other instead of allowing a leading branch to grow strong. But, in an urban environment, it is an established horticultural practice. I guess my problem with this practice is that humans have such short attention spans. Your grandmother may have planted a tree and coppiced it back in the early 1900's, but unless it's been cared for properly, it's a mess of branches or it has been cut down. Still, who can stroll the sidewalks of Paris or London or Madrid and not admire those venerable coppiced street trees? Yes, there are boulevards of beauties in this country as well, but the European street trees outdate the US by huge margins. Amazing beings! Your Appalachian home place has coppiced for wood. It could be cut for cord wood and allowed to carefully grow back. Urban trees are generally coppiced for shade. A trunk with first year growth branches - easy to prune off in the fall. Again, sorry for blurting all over your comment section! No apologies, e! I'm glad for the information! I believe the trees on my great--grandfather's farm probably were coppiced for firewood. I did mine by just being too lazy to dig up the little trees. My coppiced oaks are safe as long as I live here. I just love them. One is a pin oak whose parent was cut down years ago. Coppicing sounds a bit like the Japanese art of bonsai, only much bigger of course. Don't laugh at me, e, I know nothing about trees. A mighty staff! Very nice! Maybe pinch a branch fro the doomed tree across the way for extra power casting! I cut the top off of one of the thousands of spruce trees on my property for a Christmas tree for some friends. In the spring it sent out 4 branches upward. After about 5 years there were 4 more Christmas trees available. I didn't know I was coppicing. I'm grateful I live in a neighborhood with a preservation society. Trees only come down if they are dead.